Beacon Hill lawmakers are reigniting efforts to scrutinize student loan companies, a move that could inject Massachusetts into a still-unfolding legal battle pitting states against the Trump administration — with millions of borrowers in the middle. Proposals filed in both the House and Senate would subject loan servicers to new registration requirements, create an ombudsman to field complaints about unfair practices, and empower the state to investigate and pull the licenses of “deceptive” companies. The bills’ proponents frame them as consumer protection measures that would fill the void created when the Trump administration rolled back Obama-era policies designed to protect borrowers. But even the authors recognize that state legislation would probably draw a lawsuit amid an escalating fight nationwide between the states and the loan servicers, which have been backed by the Trump administration. Similar efforts in other states have prompted a rash of litigation, with some courts allowing states to go after companies for allegedly unfair practices. Others, however, have sided with the servicers, which argue that federal rules supersede state and local laws, potentially complicating how, and whether, local officials craft student loan rules. “Whenever you see different decisions out of separate circuits, that is a case that’s ripe for Supreme Court action,” said Adam S. Minsky, a Boston attorney who represents student loan borrowers but is not directly involved in any of the servicer lawsuits. Minsky cautioned that there’s no guarantee the high court will hear a case. But with the “arguably minimal federal oversight” of loan servicers, he said, states are trying to give borrowers tools to navigate a trillion-dollar industry. “I think there are solid legal arguments for allowing states to regulate,” he said. The loan servicers often work as middlemen for the federal government, ensuring that borrowers make their monthly loan payments. But the companies have also faced increasing scrutiny amid complaints about errors and allegations that they have overcharged borrowers. At least five states and Washington, D.C., have passed legislation to bolster borrowers’ rights, according to Higher Ed Not Debt, a coalition of labor and progressive groups that advocates on student debt issues. The laws run the gamut from creating new regulatory frameworks to establishing an ombudsman to aid borrowers. Some — such as Connecticut’s, the first laying out a so-called student loan bill of rights — feature both, as do the Massachusetts proposals. The Trump administration, however, has repeatedly pushed back. It warned last year that state attempts to rein in the companies “may conflict with legal, regulatory, and contractual requirements,” and Education Secretary Betsy DeVos has singled out efforts in Massachusetts, where Attorney General Maura Healey has sued the Pennsylvania Higher Education Assistance Agency, alleging deceptive practices. And federal officials have alleged that the District of Columbia, via its ombudsman’s office, tries to “second-guess” federal evaluations of contractors. That’s according to paperwork federal officials filed last year in support of a lawsuit brought by the Student Loan Servicing Alliance, a trade group that counts roughly 30 servicers as members. In November, a federal judge delivered a split decision in the case, ruling the city is not allowed to license companies servicing federal direct loans or those owned by the federal government, but it is within its rights to regulate commercial loans. Both the city and the Student Loan Servicing Alliance are appealing. 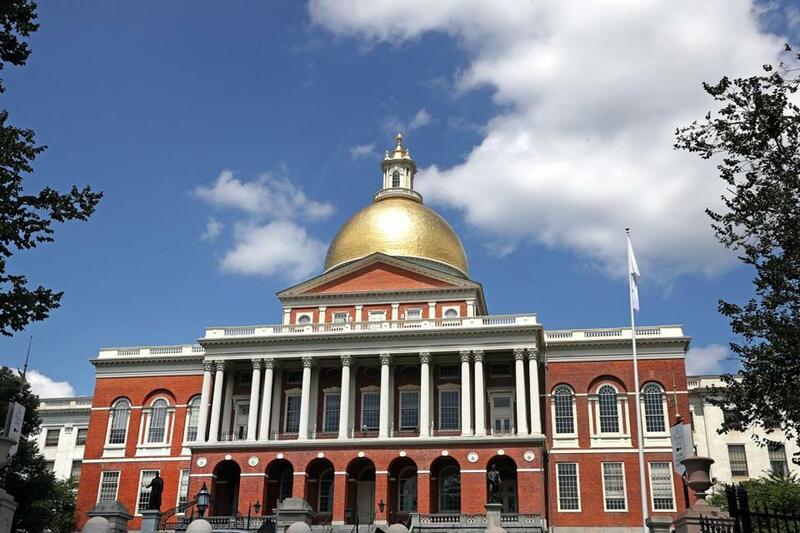 Against that backdrop, Massachusetts lawmakers are weighing the state’s role. While the Senate passed its measure last year, a bill never emerged from the House. The sponsor of the House bill this session, Representative Natalie M. Higgins, said there were questions about how to structure licensing fees and properly fund the ombudsman position the bill would create. “I think that is the biggest piece to this,” the Leominster Democrat said. The legal wrangling could also give pause to the more conservative members of the lower chamber. House Speaker Robert A. DeLeo last week spoke of the importance of tackling student debt issues, but was noncommittal on specific proposals, saying he’d wait for the bills to make their way through the relevant committees, which can take months. “I think one of the biggest issues we have right now is student loan debt,” he said. Higgins and Senator Eric P. Lesser, the sponsor of the Senate legislation, argue the state should be more proactive. Lesser said he crafted the initial bill with Healey’s staff, and under the Senate proposal, the ombudsman would be housed in the attorney general’s office. In the House version, it would fall under the Division of Banks. A spokeswoman for Healey said she would support “new strategies” to protect students but did not specify how active Healey would be in pushing the legislation. “Conflicting requirements at the state and federal level could make it more confusing to the very borrowers we both want to help,” he said in an e-mail. Seth Frotman, former student loan ombudsman at the US Consumer Financial Protection Bureau, argued the states have long had consumer protection obligations.